Get the most out of the Verizon Smart Family app when you pair your child’s device by installing Smart Family Companion. 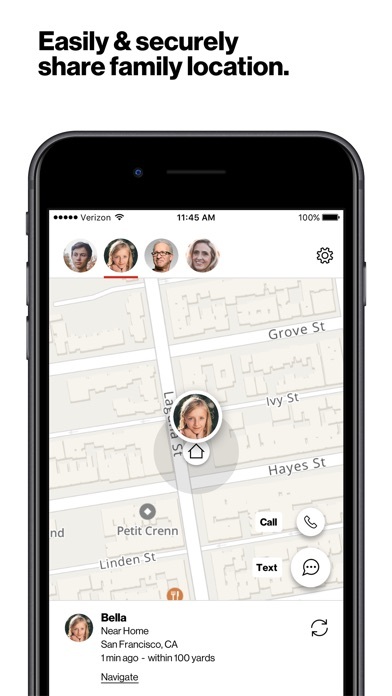 You will be able to: •	Receive on demand device location & schedule location alerts •	Block apps & websites •	Instantly pause the internet •	and much more Don't worry if the companion app is removed from your kid's phone, rest assured, you'll be notified. 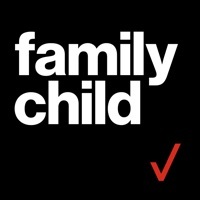 If you haven't already subscribed to Verizon Smart Family you will need to visit https://vzw.com/smartfamily/ to subscribe before continuing. SET UP – Easy as 1-2-3 With companion device in hand: Step 1 Send an invite text from your Verizon Smart Family app to your child’s phone. Step 2 Open the text and tap the link. Step 3 Tap the download button and follow the instructions that appear on your child’s phone screen KIDS This will help prevent you from seeing bad content and in case you ever get lost, your parents will be able to locate your device. Don’t worry! Smart Family does not let your parents read your texts! Smart Family is there for your digital safety. 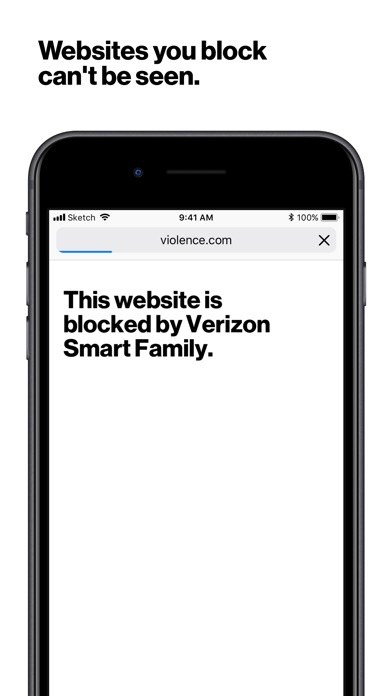 Important Information: Verizon Smart Family controls requests and uses Device Admin Permissions to ensure that the application cannot be removed from the device once set up (application can be removed at any time by parent.) Selecting the option to ""Get Companion App"" which will send a text message to your kid's compatible phone with a link to download this app.